Michael Mann loves cars—fast, gleaming cars, especially when seen at night, with streetlamps reflected on a spit-shined hood. It should come as no surprise, then, that one of the writer-director’s many long-gestating projects is a biopic about Ferrari founder and racing legend Enzo Ferrari. Mann has been involved with the project on and off for almost 15 years, and it’s finally being prepared to shoot next summer. 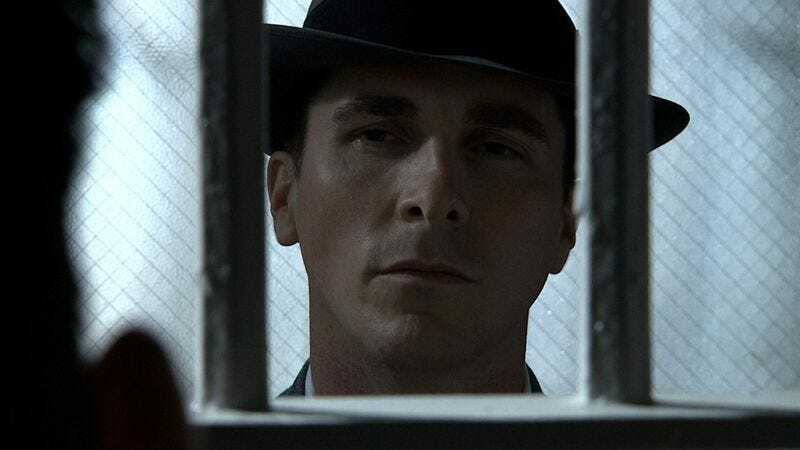 Now, Deadline is reporting that Christian Bale—who previously worked with Mann on Public Enemies—has signed on to star in the as-yet-untitled film. Concrete details on the upcoming film are scarce, in part because Mann has tried several different approaches over the years. But Deadline reports that it will be set—at least in part—around 1957, the year a Ferrari crash at the Mille Miglia race killed 11 people, resulting in manslaughter charges for Ferrari and Belgian tire manufacturer Englebert. The mid-’50s were a difficult and dramatic period for Enzo Ferrari. By the time of the Mille Miglia crash, he had already lost his eldest son and appointed successor, Dino, to muscular dystrophy, and his friend Alberto Ascari to another high-profile racing accident. And given that Bale is too young to play to Ferrari, who was nearing 60 at the time, one can’t help but presume that a lot of flashbacks will be involved.